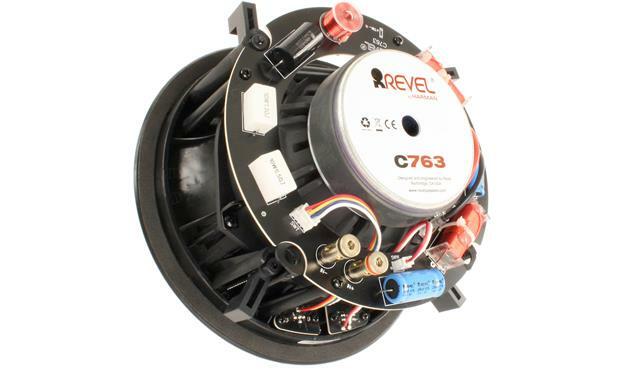 Revel's C763 is the best 6-1/2" speaker in the company's in-ceiling lineup. 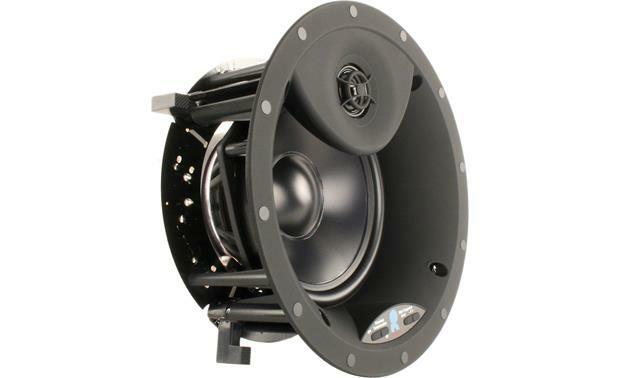 Revel's C763 is the best 6-1/2" speaker in the company's in-ceiling lineup. You get outstanding Revel performance that can be tailored to your room. 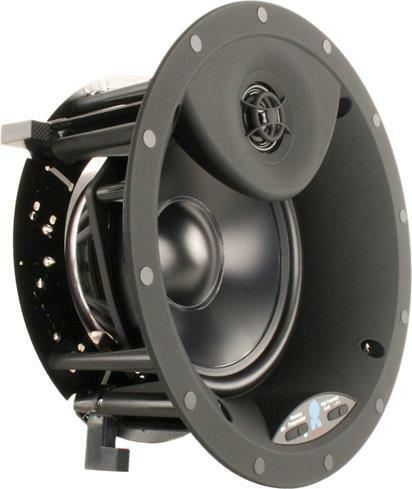 Its 1" aluminum dome tweeter has a three-position output level switch, which lets you cut or boost the high frequencies. And a boundary compensation switch lets you adjust low-frequency output when the speaker is placed near a wall, to prevent potential boominess. The Revel C763 in-ceiling speaker offers both tweeter and woofer adjustments to tailor its sound to your room. The C763 has a few other notable design highlights. Its tweeter waveguide helps provide great sound for listeners directly under the speaker, as well as those positioned off to the side. Its high-order crossover network allows the woofer and tweeter to blend together seamlessly. And high-quality push-post input terminals provide a solid connection with your speaker wire. The C763 even comes with square and round grilles to match your décor. A lifetime warranty ensures excellent long-term performance. The C763 is a great choice for a high-end in-ceiling stereo system. 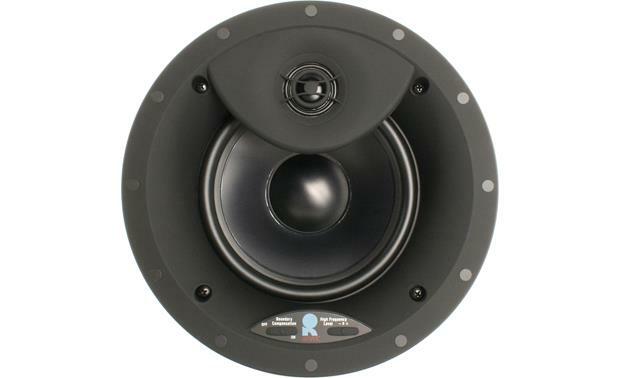 Or use this speaker as an overhead effects channel as part of a Revel home theater system. You'll enjoy rich, full-bodied sound with all of your favorite content. 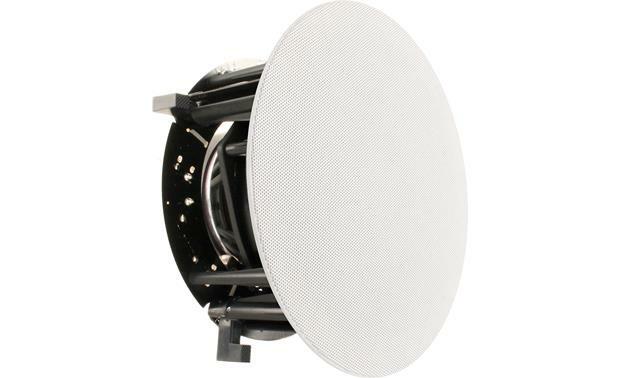 Two-Way In-Ceiling Speaker: The Revel by Harman C 763 in-ceiling speaker utilizes a two-way driver design. It features a 1" aluminum dome swiveling high-output tweeter with an integrated wave guide that provides optimized response both on and off axis. It also houses a 6.5" micro-ceramic composite (MCC) woofer with rubber surround that provides high output with low distortion. A high-order crossover network delivers seamless blending between the tweeter and woofer, as well as accurate timbre reproduction. Spring-Post Terminals: The C 763 in-ceiling loudspeaker is equipped with a set of spring-post terminals that will accept speaker cable terminated with banana plugs (single or dual) and bare wire (up to 10AWG). Use high-quality speaker wire to obtain the best performance from the Revel in-ceiling speaker. Magnetic Grille (Round & Square): The C763 in-ceiling loudspeaker comes with a round and square metal mesh grille (choose the one that looks best in your ceiling). Powerful magnets in the speaker frame securely hold the grilles in place. The grille covers the entire outer frame of the speaker and is extremely low-profile (sits out only 0.25" from the ceiling). The included grilles can be painted to match your room's décor. Applications: The C 763 in-ceiling speaker can be used in distributed audio, two-channel stereo, and home theater applications. 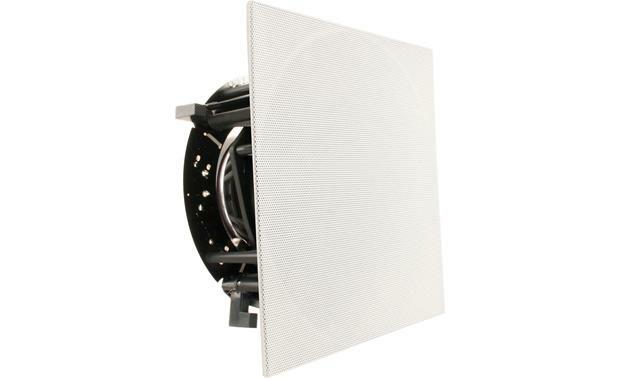 Mounting Options: The C 763 is designed to mount in a 0.5"-2" thick ceiling. Make sure the drywall, plywood or other ceiling material capable of withstanding the weight (2.4 lbs) of the speaker. Use the included template to assist you with marking the cutout opening (8" diameter) for the speaker. Be sure there is at least 4.9375" of mounting depth behind the wall, and allow at least 3/4" between the edge of the supplied installation template and any rafters or other obstructions behind the wall - so the speaker's locking mechanism will have room to engage fully. Four "dog-ear" clamps will secure the speaker in your ceiling. 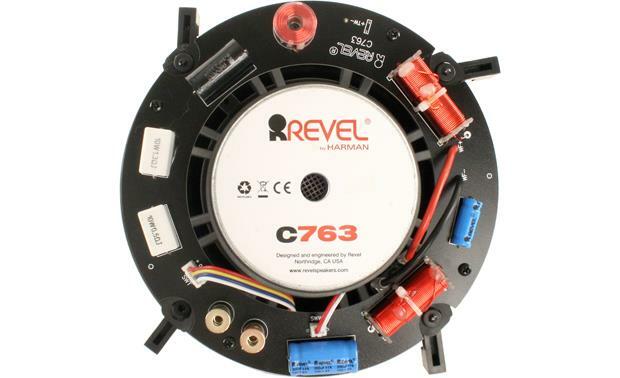 Searches related to the Revel C763 In-ceiling speaker.